Artwork » Sketch » Burrrny! Posted on: August 13, 2007	 Burrrny! Well, it took me a year, but I finally did get it colored. I decided to use both manual fire coloring, via the brush tool, and also cloud-based overlays to make the effect. 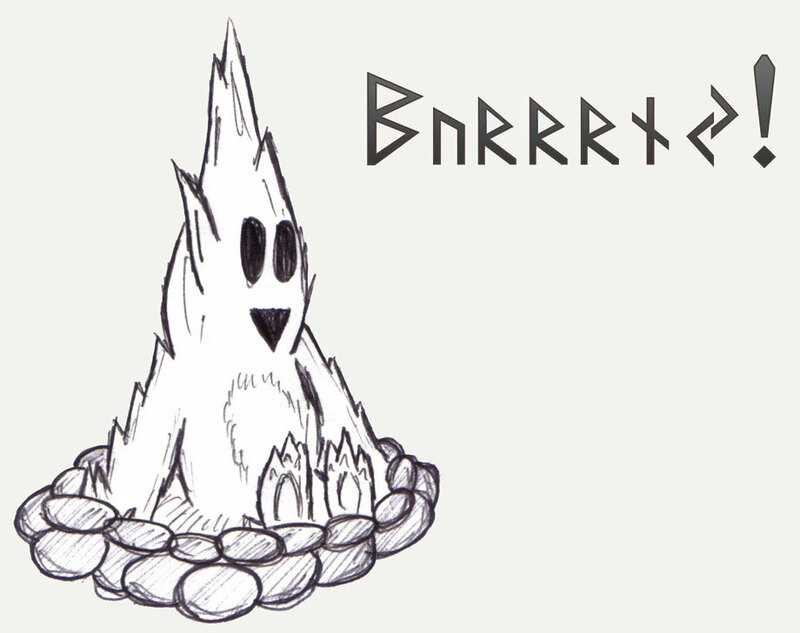 This is a really simple idea, as sketches go- a sentient fire that is perfectly happy to sit around in a fire pit. I wonder what it'd think of roasting hotdogs on it. I haven't got much else to say on this one- the linework was easy and the photoshopping hard. The text in the upper right is Elder Futhark (a Norse font i like), with a simple style applied to it. Made with pen and paper.